TIGER PRESENTS A CELEBRATION OF ABUNDANCE !!! With the Year of the Horse just around the corner, TigerBeer, the world’s No. 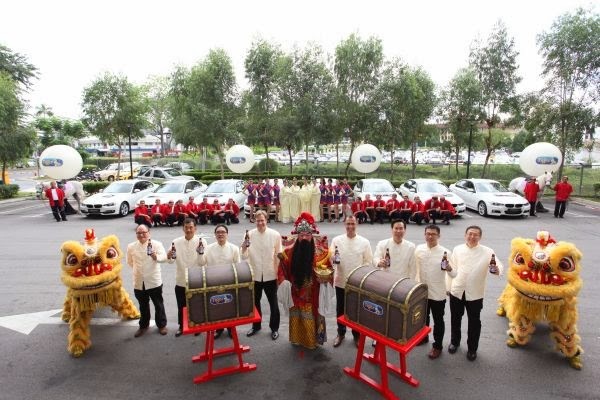 1 international Asian beer unveiled their ‘Celebration of Abundance’ festive campaign promising consumers an exciting and rewarding nationwide promotion with great prizes and exciting events this upcoming Chinese New Year. Cheers to a Celebration of Abundance from GAB! 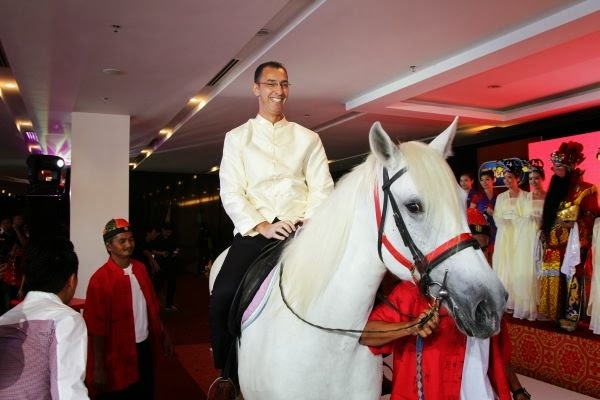 The campaign saw the majestic entourage of auspicious Chinese characters including the God of Prosperity, HeavenlyAngels and lion dancers as well as the arrival of Guinness Anchor Berhad (GAB) Managing Director, Hans Essaadi and Marketing Director, Bruce Dallas on horseback in homage to the upcoming Year of the Horse. Hans revealed the Tiger Beer’s Celebration of Abundance Treasure Chests where the grand prizes of 8 all-new BMWs 3-series await the lucky consumers when they raise their glasses and cheer “Yum Seng” with Tiger, Guinness, Heineken, Anchor and the newly launched Tiger Radler from December 16 onwards at participating coffee shops, food courts and restaurants. 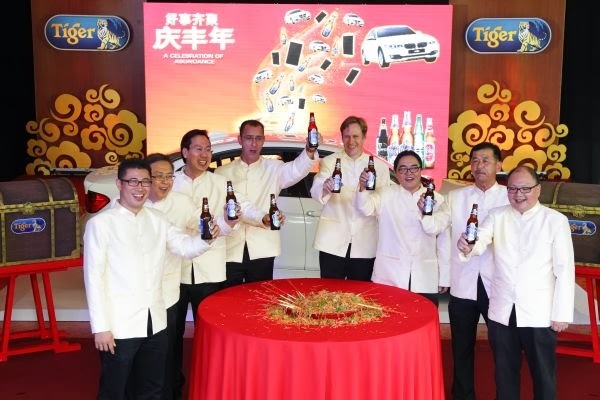 Apart from the exclusive 8 BMWs, known as ‘Precious Horse’ in Chinese, consumers also stand a chance to win many exciting prizes when they choose to celebrate with these five brews. lucky draw from the GAB treasure chests with prizes ranging from GAB premiums, products and cash prizes of RM888. Now that’s truly a celebration of abundance! information on this campaign, please visit www.gab.com.my today.